Masala chai (which literally means spiced tea) is the most common drink in every Indian household. A cup of masala chai along with a yummy snack is a must have every evening in most households. The mix of spices that is used to make masala chai varies in each household. The recipe here is our family favourite and I use very basic spices to make our cuppa. You may vary the spices as per your preference and liking. Strong, sweet, mildly spiced masala chai is something we enjoy every evening. Invigorating and relaxing at the same time! 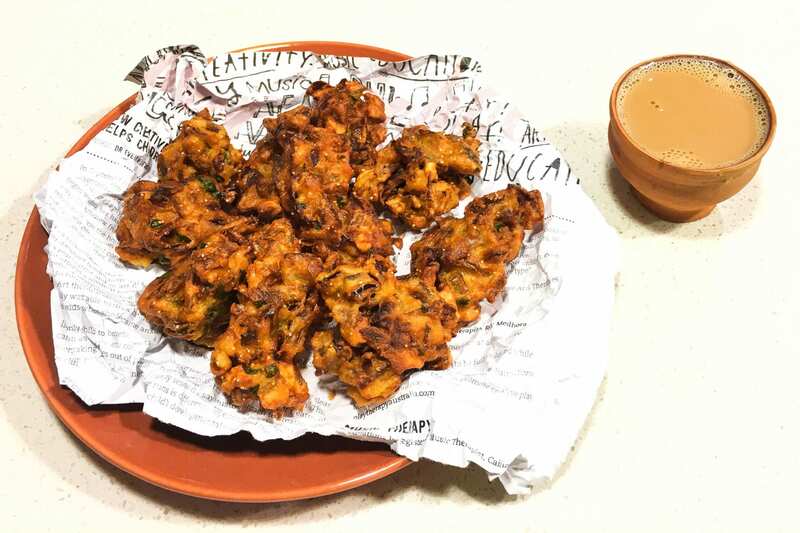 Have you tried the classic masala chai and pakoda (onion fritter) combo yet?